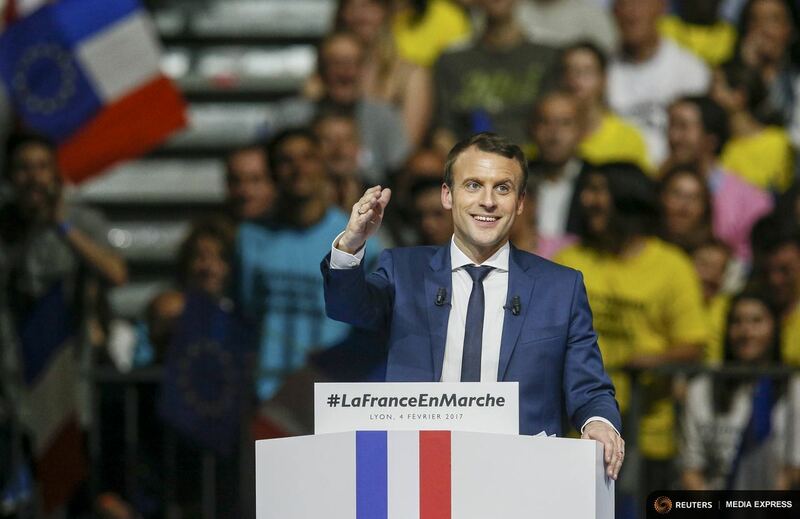 Despite the warm welcome from almost all corners of Europe, the new French president, Emmanuel Macron, made it clear during his presidential campaign that he wants to reform the EU, otherwise the rise of nationalists and populists will be unstoppable. Some of Macron’s ideas for reform might lead to clashes on the European political minefield - either with the EU, or with heavyweight capitals on the continent. Macron will have to deal swiftly with the French budget, as the European Commission is rolling out its forecast for European economies on Thursday (11 May). France will likely miss the 2017 budgetary targets, and could be in danger of facing penalties. EU commission president Jean-Claude Juncker warned on Monday (8 May) in Berlin that the "French spend too much money and spend it on the wrong things”. "That can't go well in the long-run with relatively high debt," Juncker said. 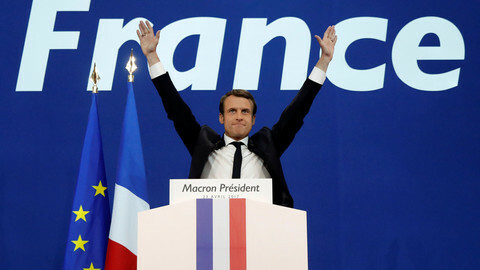 "France is going to have to compromise with others...Germany is not alone in speaking out about a policy of stability, there are other countries too,” he argued, laying out the difficult job Macron has ahead of him. The new French president wants to push through tough reforms in a divided France, and he has yet to get his legislators into the National Assembly. Macron previously pledged to cut spending and public sector jobs in the hope of convincing Berlin to support his plan to overhaul the eurozone. In his program, he promises to fight for a eurozone parliament, finance minister and budget - something that has not gone down well with Germany’s finance minister, Wolfgang Schaeuble. Juncker warned on Monday that "not all euro member states agree that someone based in Brussels or somewhere else should call the shots on budgets instead of national parliaments". Macron also wants a set of social rights to be codified at European level: setting up minimum standards for job training, health insurance, unemployment benefits and the minimum wage. He is also seeking economic transfers between eurozone member states, arguing that the common currency will not survive otherwise. But the 39-year-old politician has a powerful argument now to convince reluctant Berlin and others to come on board. Indeed, as he did in a 2015 interview with the Financial Times, he can argue that only populists benefit from more austerity. “Both [Paris and Berlin] know the EU project won’t go anywhere if the French economy doesn’t get stronger, so rebalancing the relationship of Paris and Berlin, this is crucial,” Judy Dempsey at Carnegie Europe told EUobserver. 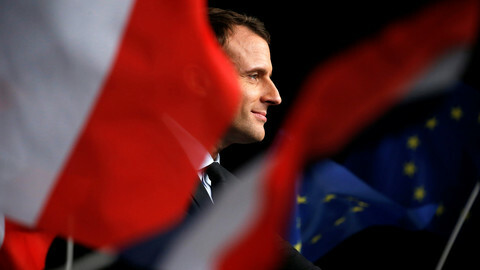 The new French president might receive more backing for his eurozone plans from the German Social Democrats (SPD), who are being led by former European Parliament president Martin Schulz into September’s general elections. However, recently the SPD have been sliding behind German chancellor Angela Merkel’s centre-right CDU in the polls. Moreover, any major change in the functioning of the European monetary union would entail EU treaty change, which requires large-scale negotiations and the unanimous agreement of all EU member states. Opening “pandora’s box” makes EU leaders wary and is deemed impossible for the moment. But Macron's ambition to reform the EU goes further. In his program, he proposes EU states hold national conventions; debates that would crystallise the EU’s substance and priorities. Macron wants to build a roadmap based on those debates, a summary of common challenges and actions, defining Europe’s priorities. He also wants a timetable of action for the next five years. The EU has already launched a soul-searching effort in the wake of the Brexit vote, which is being called the Bratislava process. It has led to the subdued Rome Declaration. 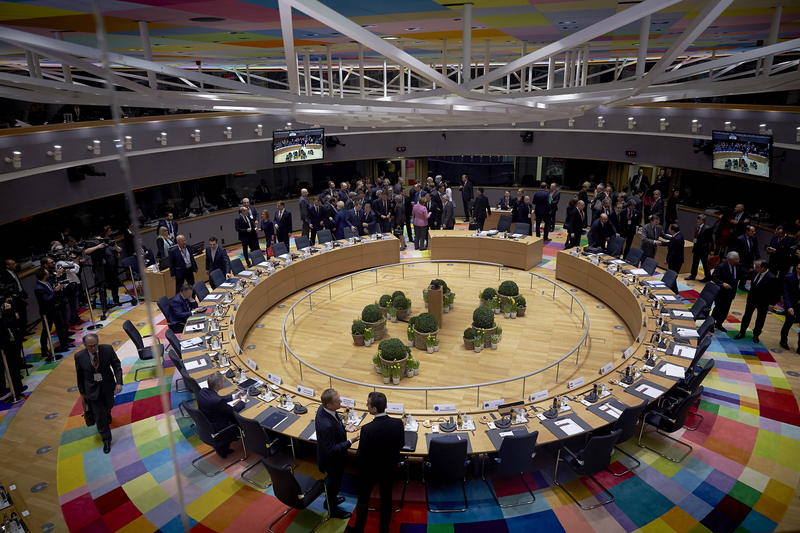 In Rome, EU nations renewed their pledge to the European project, but shied away from specific timetables and committing to any specific actions. In the meantime, the EU commission has also drawn up five potential scenarios for the road ahead for a renewed EU, one that enjoys a new legitimacy from member states. Members states and the EU institutions could be wary of yet another debate on the future with the possible consequence of a EU treaty change. But Judy Dempsey at Carnegie Europe said Macron’s conventions could be a good thing if they are held at grass-roots level. "Europe cannot go anywhere if we do not have serious dialogue - not on an elite, or institutional level, but at the citizens’ level,” she said. "And there is appetite for this, the young people want Europe to change, the convention has to tap into this, the usual invitation list won’t do," she added. Macron irked Polish politicians when he said that he would aim for tougher action against Poland and Hungary - countries that are said to have broken fundamental EU rules and values. Several legal probes have been launched by the EU commission against Hungary over the last six years, aiming to tackle the country’s backtracking on democratic norms. Poland has been put under a rule of law framework mechanism by the EU executive to examine its compliance with EU rules, following changes to the country's constitution. However, despite calls from the European Parliament to launch the Lisbon Treaty’s Article 7 - an infringement procedure to check if the two countries adhere to EU rules and values - member states have been reluctant to act. Dempsey says that it is important for an EU leader to publicly call for tougher sanctions. "Macron is right to say this openly, he now has to decide how to take this further, but it is time for the member states to speak out,” she said. 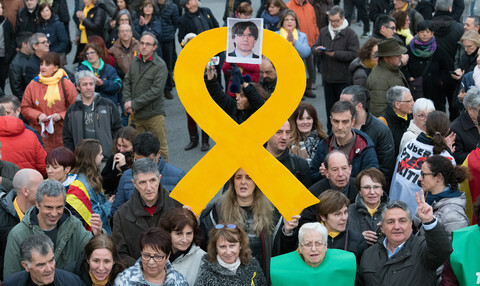 "The message was not for the French public, but for the Europeans,” Charles de Marcilly, the head of the Brussels office of the Robert Schuman Foundation, a French think tank, told EUobserver in an earlier interview. 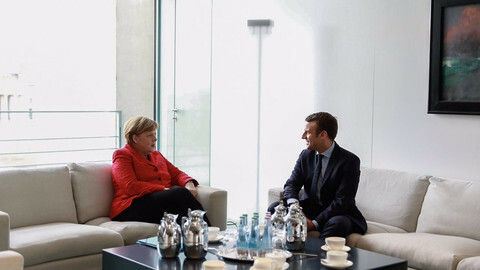 "It said we [French] are coming back with a power to convince, which was maybe lacking, or which was left to the German chancellor, who despite common assertions is not the one who dominates Europe,” he added. Macron proposes a permanent European headquarters for European defence operations, setting up a European Security Council, and cooperation between member states who wish to integrate more deeply on defence matters. But Macron says that cooperation should not be stalled by others, and should move ahead without waiting for the participation of all EU countries. While security is a top priority for most member states, suggesting that a few willing member states should go ahead even if the others refuse could cause irritation among EU nations. The idea of a multi-speed Europe came up during the discussions at the Rome Declarations, and was met with fierce opposition from several member states, mainly from Central Europe. But the new French president will have to walk a fine line between convincing his European partners and keeping his support in a deeply divided nation. He needs to deliver European reforms quickly to convince French voters that his presidency is indeed not the “continuity” cited by his far-right rival, Marine Le Pen. 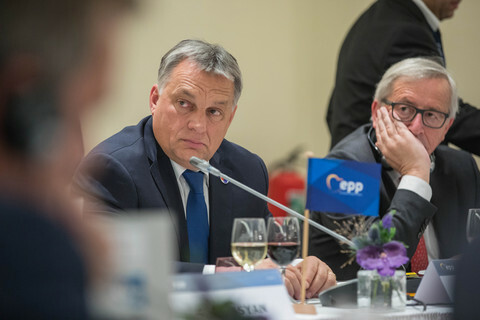 "Pushing through these reforms at EU level could prove politically difficult as other EU partners may want to focus on alternative priorities, such as migration and security,” wrote Robin Huguenot-Noel, a policy analyst at the European Policy Centre. 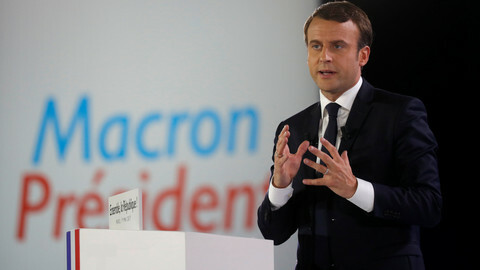 "However, in order to preclude the perspective – and the wider spill-over effects – of an irreversible French (E)U-turn, Germany and other pro-EU governments may well be tempted to help Macron deliver on parts of this reform agenda,” he argued. 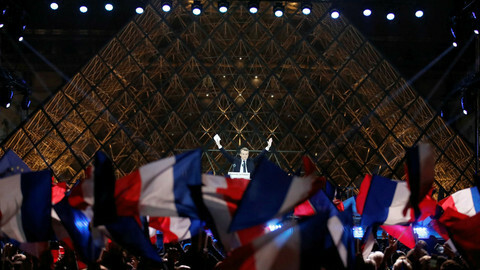 EU leaders saw Macron's victory as a blow against nationalism and Russian meddling, but one in three French voters still picked the far right. [Updated] The centrist pro-EU candidate easily beat far-right candidate Marine Le Pen, with 66.1 percent of the vote against 33.9 percent. If elected French president, Macron could be crippled by lack of a clear majority in parliament. If Le Pen won, her EU plans would be blocked by EU countries. 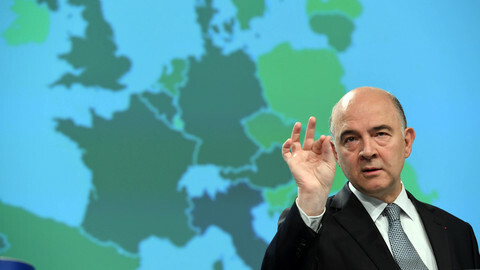 EU finance chief Moscovici expected France to reduce its deficit, but put "no pressure" on its new leader. All EU member states are expected to grow this year.